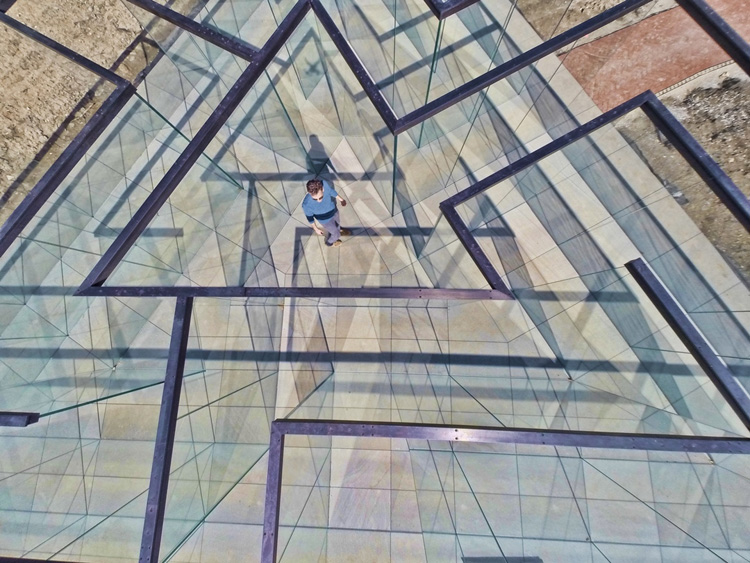 Robert Morris’ Glass Labyrinth #ArtTuesday « Adafruit Industries – Makers, hackers, artists, designers and engineers! 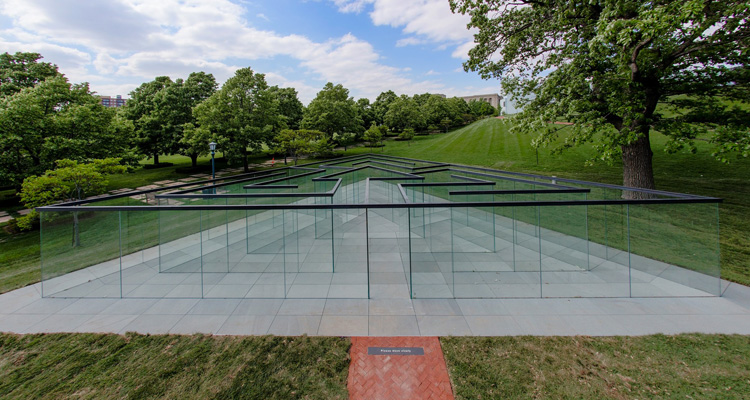 There’s a great post over at urdesign about Robert Morris’ incredible glass labyrinth in Kansas City. If you live in the area this looks like a really cool way to pass the afternoon! sculpture will provide visitors with an intimate experience, enticing them to interact with the art by winding through the glass maze. 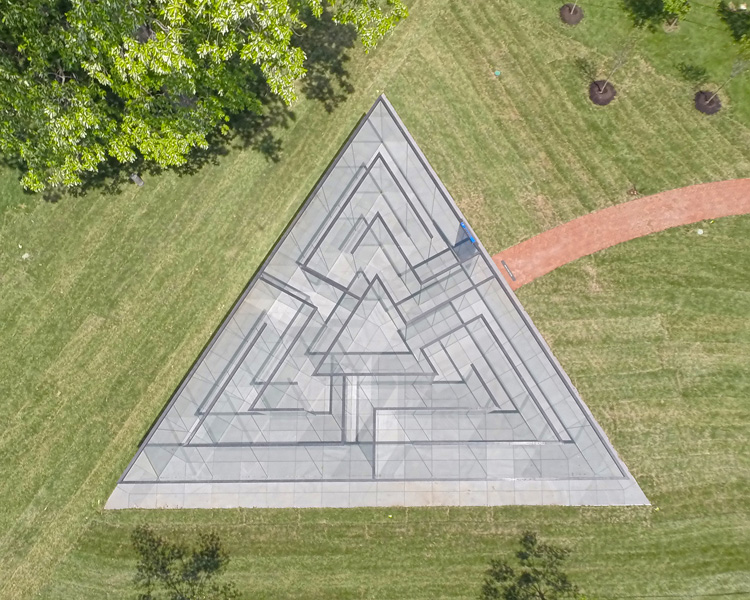 The installation of Glass Labyrinth in the southeast section of the park marks the start of a six-month long celebration of the 25th anniversary of the Donald J. Hall Sculpture Park. In spirit, Glass Labyrinth acknowledges similar prehistoric markings on stones and cave walls, ancient Greek myths, and Christian metaphors for pilgrimage to the holy city of Jerusalem. Thus, it transcends time and space to remind us of the power of deeply felt archetypes. In form and material, however, this labyrinth is a departure from the more familiar circular and rectangular labyrinths of old. Triangulated and constructed of glass plate walls capped with bronze, it speaks to this moment in the language of modern architecture and design–streamlined, dynamic, transparent, and elegant. Built on a base of concrete paving stones, the seven-foot-tall glass structure weighs more than 400 tonnes and took more than 80 crew workers to build on the site.